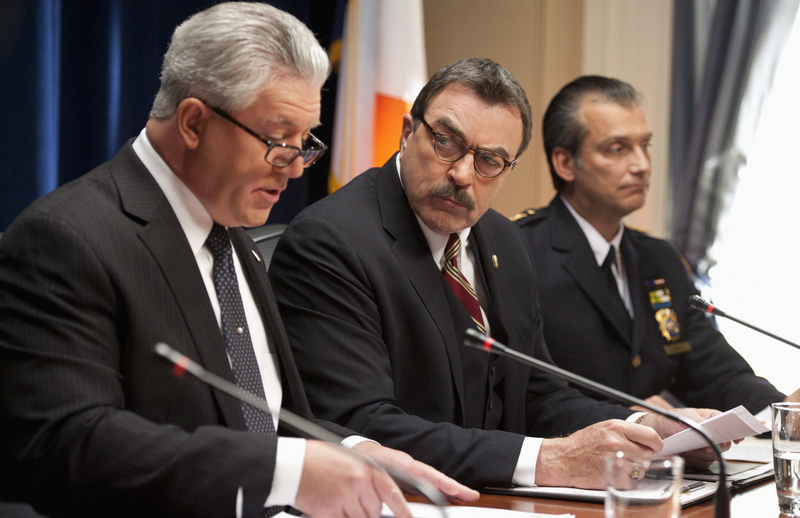 Frank Reagan (Tom Selleck, right), with help from DCPI Garrett Moore (Gregory Jbara, left) leads a press conference to address an incident involving Jamie. Photo Credit: Barbara Nikke/CBS © 2012 CBS. All Rights Reserved.